Macon-Bibb County Commissioners, the Recreation Department, and local skaters will celebrate a new addition to Central City Skate Park with a ceremonial ribbon cutting ceremony on Wednesday, March 20, at 10:00 a.m. The event will be broadcast live on the Recreation Department’s Facebook page. Phase II was designed and built by California Skateparks, Inc., and they worked with the local skating community to make sure it was designed and built with their use in mind. 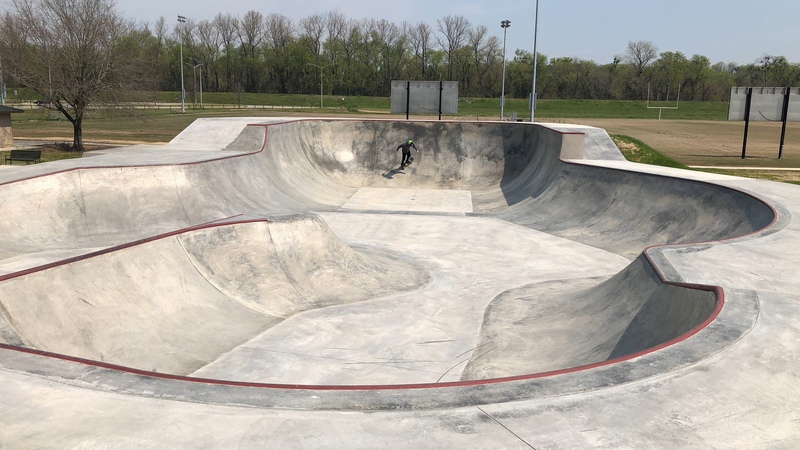 This phase included a competition size bowl and was funded with $550,000 from the voter-approved Special Purpose Local Option Sales Tax (SPLOST). To watch a MaconBibbTV feature video from the groundbreaking ceremony for this phase, click here. The first phase of the skate park opened in April 2017 and instantly became a hit with the skating community. The first competition there drew hundreds of skaters from around the country, and it is used on a daily basis by amateurs and professionals, alike. MaconBibbTV produced a feature video of the opening of the first phase of this project. The first phase was part of a $3.7 million SPLOST-funded improvement project at Central City Park that also included new trails, putting wires underground, building new multi-purpose fields, renovating and adding bathrooms, adding new pavilions, installing RV hookups, demolition of nine dilapidated buildings, and more. In addition to improvements to Central City Park itself, the SPLOST funded construction of the new Elaine H. Lucas Senior Center ($2.7 million) and major improvements to Historic Luther Williams Field ($2.5 million) to prepare it for Opening Day of the Macon Bacon.